A method of cold therapy involving a few minutes of skin exposure to temperatures between -200°F to -250°F significantly improving recovery time, helping treat skin conditions, and much more. 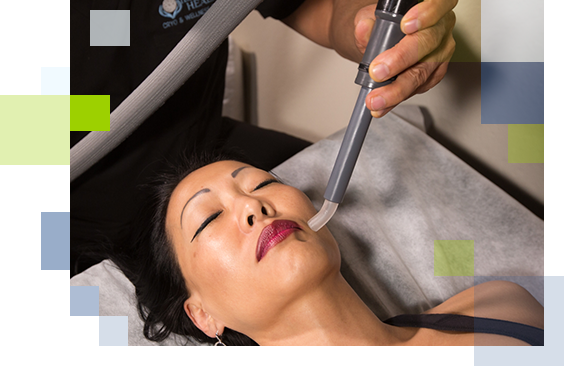 This form of cryotherapy is confined to a small area of the skin or all or part of a limb. Local Cryotherapy is used to target specific areas or injuries to reduce pain, inflammation, and swelling. The process takes about 5-12 minutes, and is significantly more efficient and powerful than traditional icing. When used in conjunction with Whole Body Cryotherapy, you can address your pain and inflammation from both the outside in (local cryotherapy) and the inside out (whole body cryotherapy).